Looking for an alternative to plastic straws and want a little bit of style? 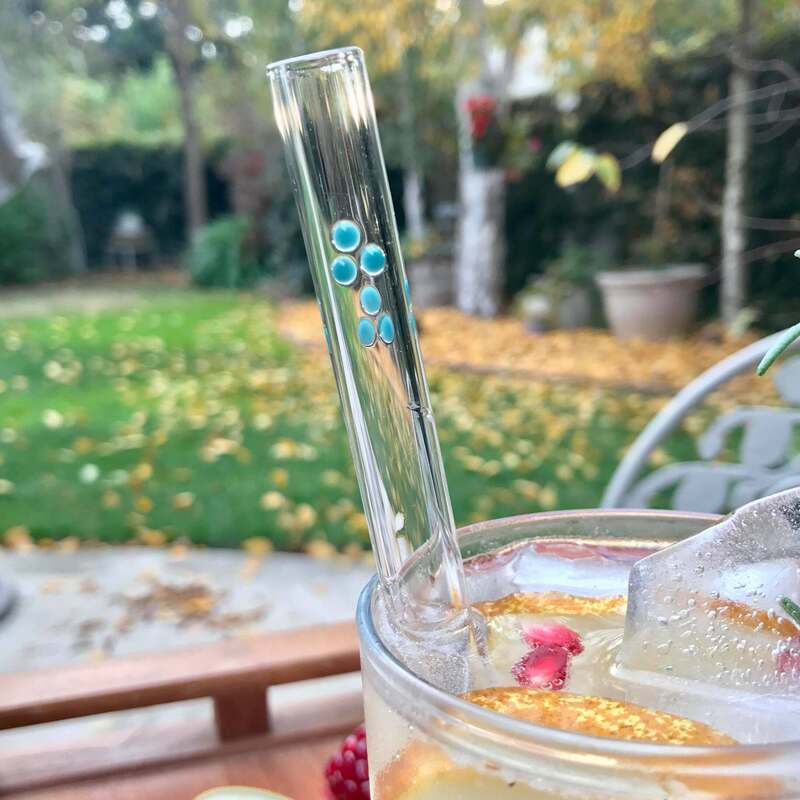 Our 2 pack of Dots Custom Accent Glass Straws is just the thing! Add a splash of style and color to any beverage. 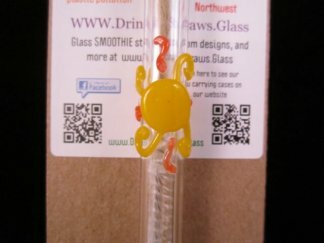 These glass straws are either 7mm or 9.5mm diameter and 8 inches long. And don’t forget a Reusable Cleaning Brush is included! 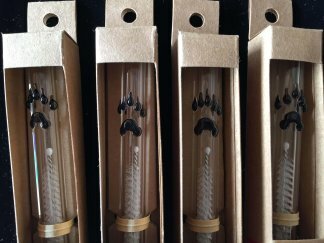 Cleaning glass straws just got a little bit easier. You have the choice of either 7mm Espresso Sipper or 9.5 mm Classic Diameter glass straws. They will be 8 inches in length. 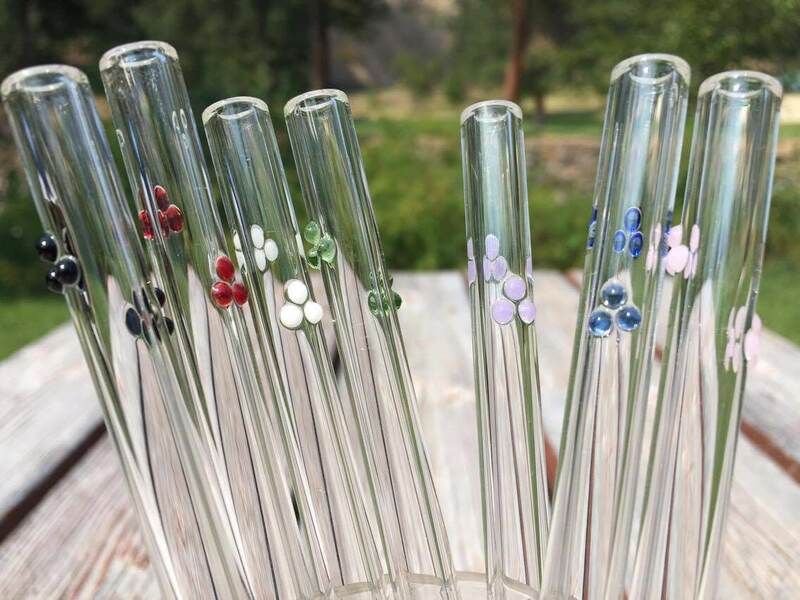 The Dots can come in a variety of colors that you can choose. Get two of the same color or different colors! If you want different colors then send us a note along with your order of the second color choice. 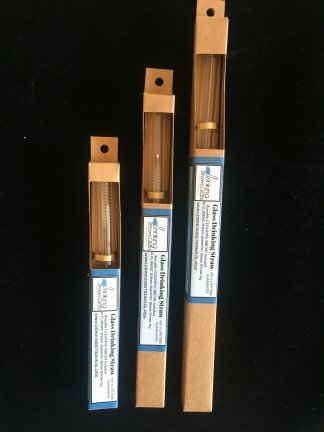 Wondering how easy they are to clean? 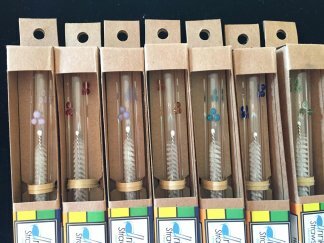 We use high quality borosilicate glass which makes them extremely durable and dishwasher safe. No dishwasher? That’s okay, we include a reusable cleaning brush. We try to make cleaning them a breeze.